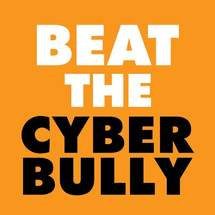 Beat The Cyberbully initiative provides education, awareness and training sessions on the subjects of; cyberbullying, cybersafety, safer surfing and online reputation management. They work to promote safe, responsible and inspiring online communications. Its owners, Barry and Wayne, have been increasing the level of awareness and education for students, parents, and teachers on the subjects of cybersafety, cyberbullying prevention, cybersecurity and online reputation in the UK, Ireland, and the UAE since 2012. Having both owned and operated their own digital agencies, helping businesses use the internet more effectively. They identified a gap in the market as more and more of their clients, started asking questions from their role as mum and dad, rather than General Manager, or Marketing Director. Barry and Wayne take their deep technical understanding of the digital space and turn that into digestible, relatable content for their audience.